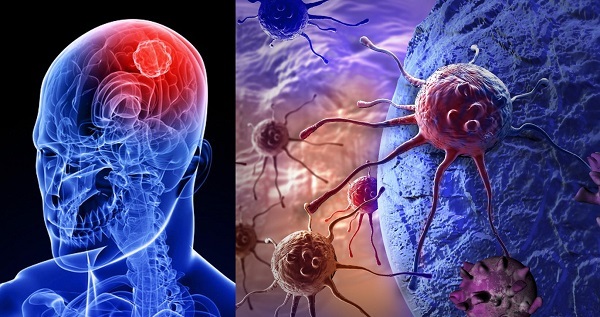 In Spain, 3,500 new brain tumours are diagnosed every year. Most of them are glioblastoma multiforme for which no effective treatment exists. This disease kills 200,000 people worldwide each year, and only 3% of patients survive more than five years after diagnosis. To investigate a series of genes which, in addition to causing rare diseases, may be involved in the development of brain cancer, the research group in Human and Mammal Genetics, from the University of Alicante’s Department of Physiology, Genetics and Microbiology and led by genetics professor José Martín Nieto, has just launched the crowdfunding campaign “Research into genes causing rare diseases in brain tumours”. This is one of four research projects currently active on the FECYT’s Precipita website. To undertake this project, at least €3,000 must be raised. The project stems from three years of joint work with the General Hospital of Elche, where different cancer types are being investigated. The campaign started on 17 September and will end next 16 December 2018. There are genes causing congenital neuromuscular dystrophies the mutations of which affect the brain, the muscle and the retina. According to evidence from the UA group and other international researchers, these genes might also play a role in the development of a wide range of cancer types. With this research they aim to study how the proteins coding these genes work and their connection with the aggressiveness of high-grade brain tumours, glioblastomas. Martín Nieto highlights that his group is concerned with “basic research”, that is, “providing pharmaceutical companies with clues and experimental results for them to develop new therapies, by designing and testing new drugs.” Conducting this kind of studies is crucial, because, he states, “only three in every hundred people with a brain tumour will survive.” This type of cancer, glioblastoma multiforme, is the most frequent one among brain tumours and generally, when detected, it is highly advanced and, therefore, it is too late. The study will involve analysing brain tumour biopsies in an effort to detect molecular alterations in the proteins coded by genes for rare diseases. These genes cause congenital neuromuscular dystrophies (called dystroglycanopathies or DGPs) and may also be involved in the development of a glioblastoma when they do not function properly in the nucleus of brain cells. The study methodology will consist of molecular genetics, cell biology and bioinformatics-related techniques. For reporting purposes, once the period for research completion is over, the findings, their implications and the investigations to be conducted in the future will be published by the group on the Precipita website. Infographic image on average survival after 5 years with glioblastoma multiforme. The principal investigator (PI) of this project is UA genetics professor José Martín Nieto, who for over 20 years has been a member of the Faculty of Science’s Department of Physiology, Genetics and Microbiology and has taught courses related mainly to human genetics, an area in which he can be considered a specialist. Throughout his scientific career, spanning 32 years, he has investigated many topics concerning gene expression and signal transduction, also in connection with rare diseases and cancer, under normal and pathological conditions. Since 2002, Martín Nieto has worked on the molecular and cellular basis of genetic neurodegenerative diseases affecting the retina, and in certain cases the brain, and causing total or partial vision loss, such as Parkinson’s disease, retinitis pigmentosa and, more recently, congenital neuromuscular dystrophies (DGPs). He has over sixty scientific publications, most of which have appeared in prestigious international journals, and has directed seven PhD theses to date. In recent years, the research group Human and Mammal Genetics, led by Dr. Martín Nieto, has been working in close collaboration with Dr Víctor M. Barberá, professor at the UA Department of Physiology, Genetics and Microbiology and member of the Molecular Genetics Laboratory of the University General Hospital of Elche (HGUE). This laboratory is at the forefront for the entire region of Valencia in the genetic diagnosis of several hereditary cancer syndromes. This collaboration is providing very interesting results on alterations in the expression of genes associated with DGPs in human GBMs, as well as in the identification of new biomarkers of clinical utility in the diagnosis and prognosis of human brain tumours. Barberá, who is participating in this project, will provide some samples of some patients affected by brain tumours from the HGUE and other hospitals, contributing together with Martín Nieto to selecting the most interesting cases for this study. Dr. Eduardo Larriba will be responsible for all in silico analyses necessary for the study. He has already participated with this group in various projects and is a leading expert in bioinformatics analysis of gene expression in very diverse biological systems, including stem/primordial germ cells and brain tumours. Moreover, two doctoral theses are underway and will be able to move forward thanks to this research work, financed by crowdfunding: Cristina Quereda’s PhD thesis, already in progress, on the role of proteins associated with DGPs in the retina and in brain tumours, and José Manuel Magdaleno’s, who has recently joined the group and is expected to focus his doctoral thesis directly on the subject of this project. Dr. Mercedes Palmero, senior lecturer in Pharmacology at the UA and expert in cell cultures, and Dr. Carmen Haro, an expert in immunocytochemistry techniques and molecular biology are also part of the research group. The group has also been collaborating actively for years with several groups, among others, the research group 'Molecular Genetics of Dystroglycanopathy', led by Dr. Jesus Cruces at the Autonomous University of Madrid (UAM). This group identified the first gene associated with PGDs, called POMT1, and is currently a leading laboratory in Spain in the study and molecular diagnosis of these pathologies. Our interaction with the research group ‘Genetically Modified Animal Models', directed by Lluis Montoliu at the CSIC National Centre for Biotechnology in Madrid. This group is specialising in the generation and characterisation of animal models for a number of rare human diseases, including eye disorders such as albinism, with the idea of developing new therapies for future treatments. You can contribute to this project from just €10. Benefactors will receive a reward as compensation according to their contribution. Those contributing €10 will receive a thank you letter from the research group. Rewards can increase proportionally with additional contributions. Those donating €50 will receive an article published by the group and printed on glossy photo paper; donating €100, all the above plus an invitation to a conference or seminar organised by the group; €250, all the above plus a guided visit to the facilities of the research centre; and contributing €500, a mention with name and surname in the acknowledgement section of the articles published that derived from the project. The research work is planned to begin on 1 January 2019 and end in December of the same year, in order to achieve the goals of the project. Also, depending on the funding obtained, which must range between €3,000 and €15,000, the team can continue to advance with these investigations by analysing samples of a greater number of patients and for a longer period of time. Dr. José Martín Nieto talks about the project and the team members on Youtube. in the centre of the image, with his team.